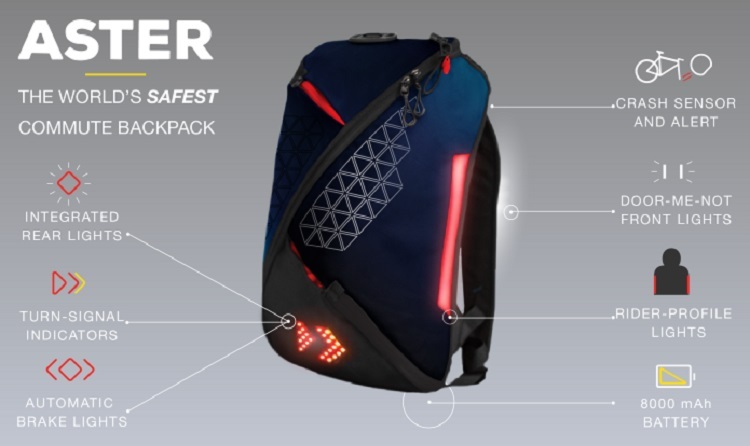 Aster is a unique backpack that is the best for safe cycling commute. 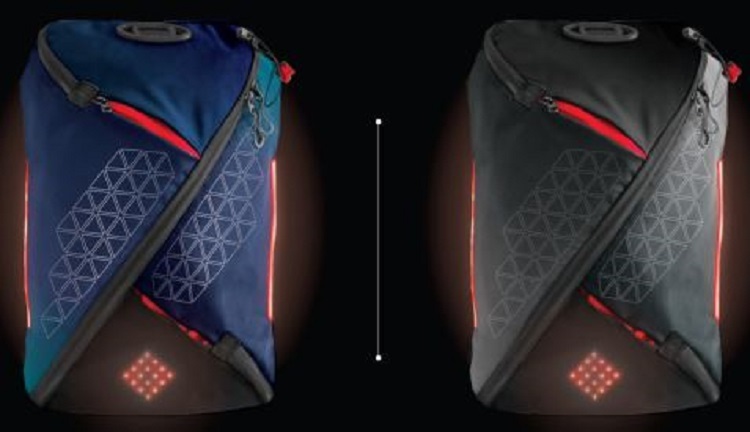 The backpack has integrated rear lights, turn signal indicators, automatic brake lights, ride profile lights and also acts as an 8,000 mAh powerbank. No more worrying about cycling late at night. 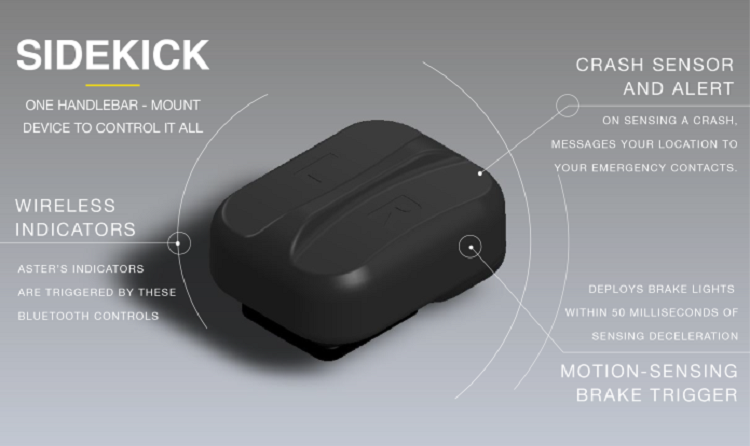 With Aster, you can be sure cars and pedestrians will be able to view you from far away. With the rechargeable built-in 8,000 mAh battery, Aster can last up to 10-15 hours under normal conditions. The rear lights are visible from 250 meters with its 38 lumen light. It lets the driver / pedestrian judge how far the rider is. The rider profile lights are attached on the side of the rider to judge the width of the rider. 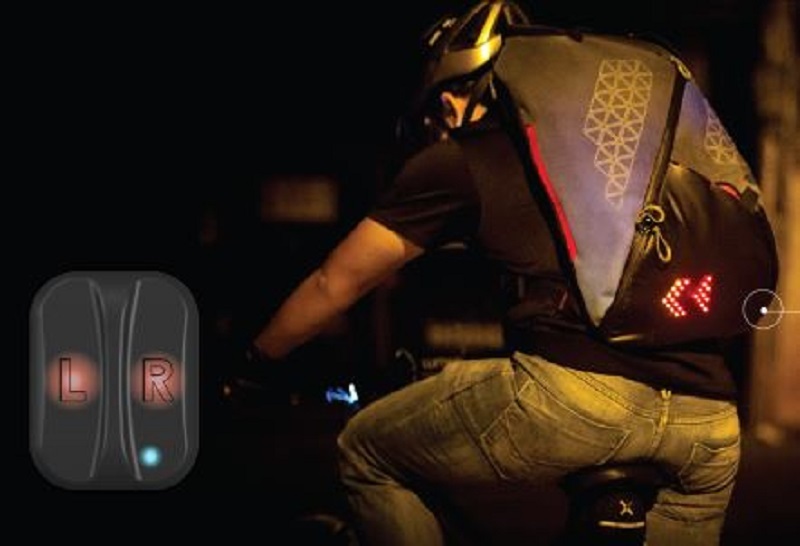 All the lights are controlled by the Sidekick mount that’s mounted onto your handlebars. You can also connect the Aster to a mobile app on your smartphone adjust light settings and enable anti-theft features. Of course, a backpack is not complete without a spacious interior for you to place your belongings. 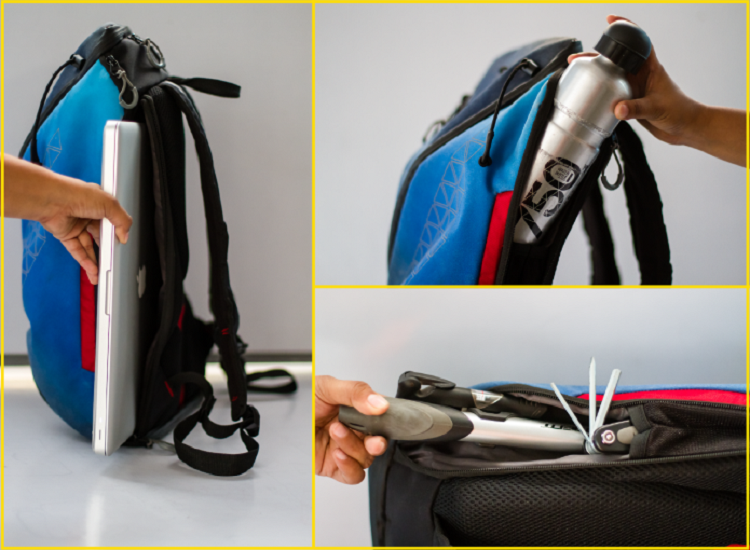 Pack a 15.6 inch laptop with charger, change of clothes and shoes, smaller gadgets, books, bike-tools and spares, rain-jacket, a 1-liter water bottle and even your lunch!